I’ve gotten pretty good deciding where to invest my genealogy dollars. Ancestry.com World Explorer provides resources I need when researching many of my ancestors and their FANS. ArkivDigital is my go-to site for Swedish records. My Hamilton County Genealogical Society membership keeps me connected to my Cincinnati ancestors as the Batavia Historical Society connects me to my Tolfs. Locally, I can count on the camaraderie and knowledge found at N-AGA and GGS. Now I’m getting good at deciding where to invest my genealogy time. Learning to read French for example was definitely in my best interest because I have many French records to transcribe and translate. Knowing the French words for familial relationships (i.e. paternal aunt or maternal uncle) makes playing on my favorite French web site much more fun. But what about resources I may need only once or twice? Especially the ones with time-consuming learning curves. Do I really have to spend my limited free time learning how a repository works when I only want one record from them? Last year there was a discussion on the Cook County list at Rootsweb about property records. I followed the thread with interest because I had been considering obtaining property records as a means to find my 2nd great-grandfather’s Swiss village of origin. When this post appeared, I contacted Kim and she offered to obtain digital images of the property records I wanted. Within days I had beautiful images of multiple pages of fascinating information about the Chicago house my 2nd great-grandparents owned. Kim also pointed out the mention of a probate file number in the property records. I quickly sent her another check and she scanned the records for me. Again, within days I had clear digital images of multiple pages of my 2nd great-grandfather’s will and probate file. I visit Chicago frequently and yes, I could have done this myself. But it would have taken an entire day to drive there, find a place to park, learn the system, secure the copies, walk back to the parking garage and pay the parking fee. Instead I worked on my family tree in the comfort of my home office while Kim did all that for me. She was prompt, personable and professional and her fees were very reasonable. A very good investment of my genealogy dollars. 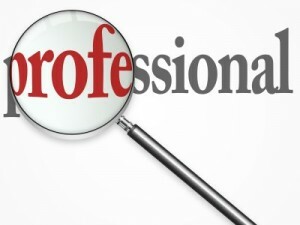 How do you decide when to hire a professional? Interesting post. Think I could use some help to get my Irish research moving. For the same reason–when it makes the most sense with a time vs. cost ratio ;).